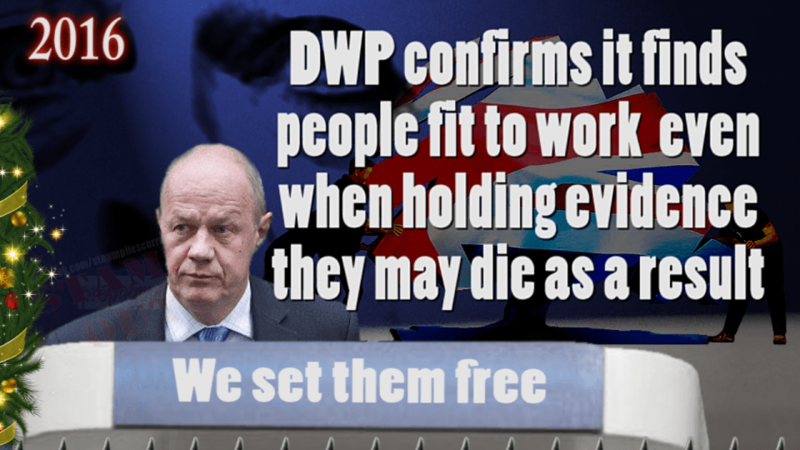 It’s heartening to see that the facts about the DWP’s rules on finding people fit for work are starting to filter out to the general public – who are, in turn, starting to feel outraged. And that’s why people die. Mock it if you like. But I hope the rhyming structure may help people remember what has happened and think about holding the Conservatives to account. DWP admit in 2016 they still find people fit to work even when holding evidence such a decision may kill the claimant, FoIA request reveals. I should like to hear the completed version of the song. Shame it could not have been released as a Christmas single, I would have purchased it. It might be a while yet! After Christmas at least. We have a few other songs we’ve recorded, and this one may follow after Christmas. The DWP just don’t care, and they don’t even care that we know they don’t care…. I don’t know why anyone would mock at talent, I’m 45 and have yet to find Any talent! It is really good because it comes from the heart, nice one! Great words, Mike, good luck with your band and this song. My 47 year old was told he was fit for work even though he had suffered a cardiac arrest a few months before and had a defibrillator planted in his chest because he was told it could happen again at any time. He had collapsed several times and ended up back in hospital but after his assessment all of his benefits were stopped. He was forced to look for work although clearly very ill. A week later he suffered another cardiac arrest. His heart stopped eight times. As they rushed him to hospital he wasn’t looking very fit for work to me.